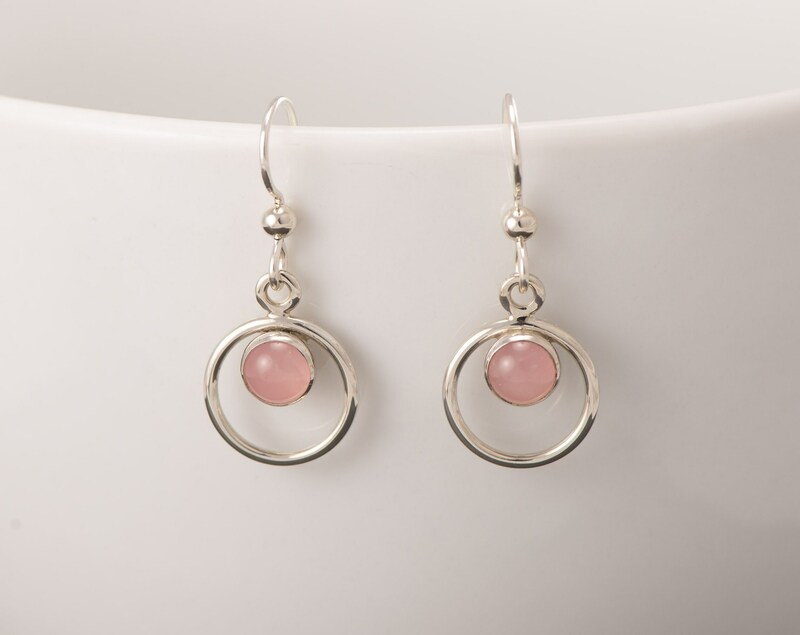 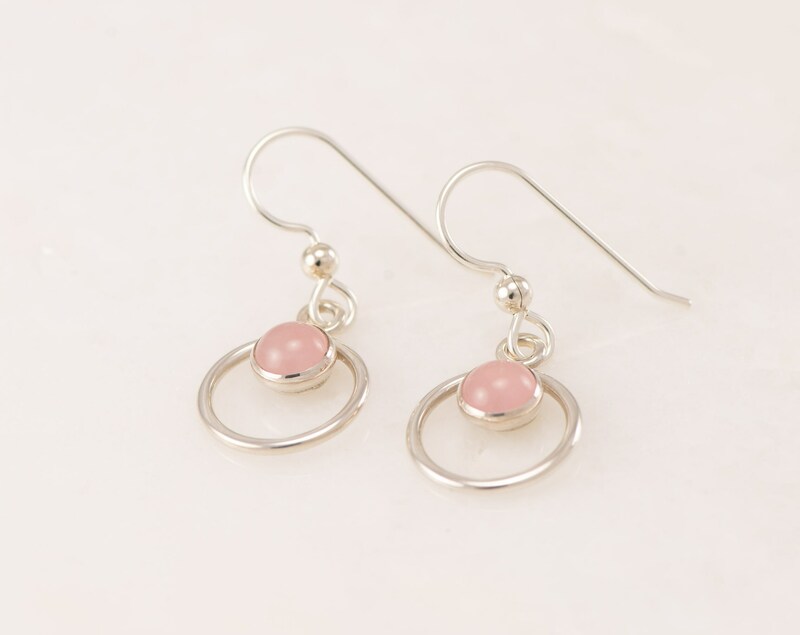 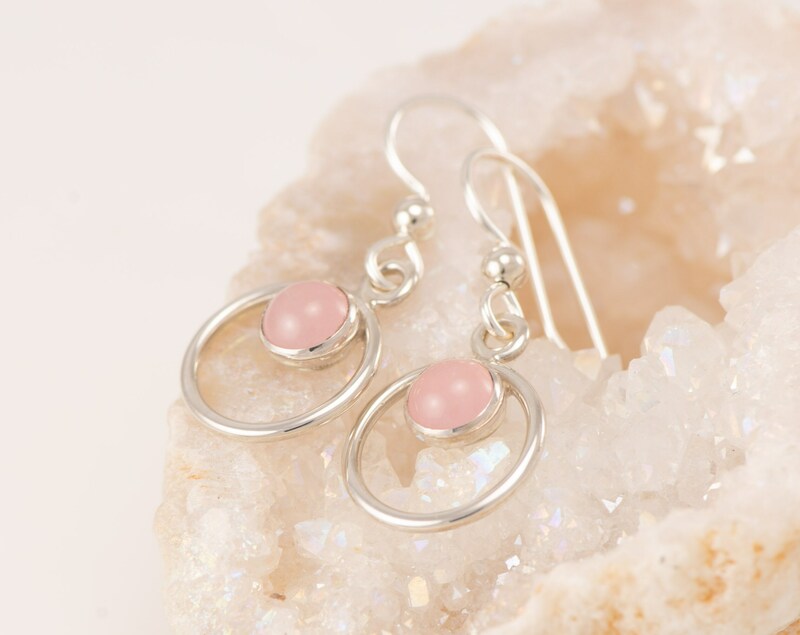 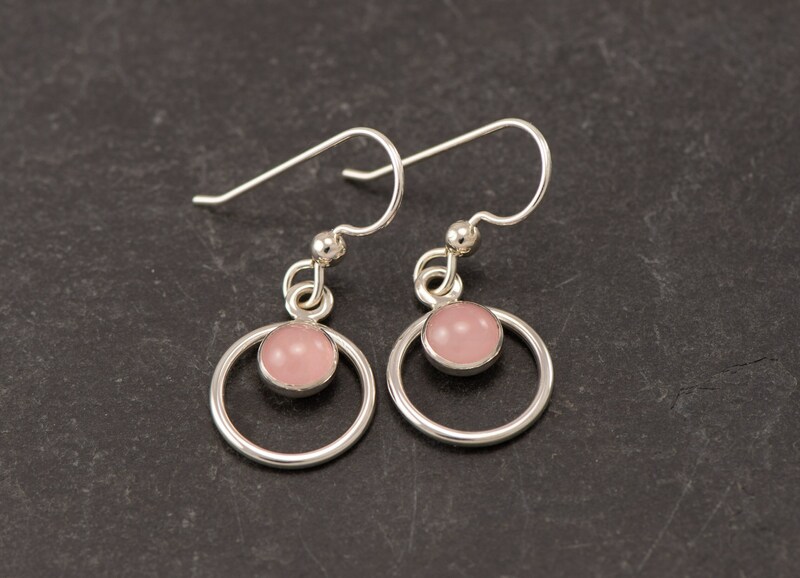 These Sterling Silver Pink Stone Earrings were designed by combining two circular hoops. 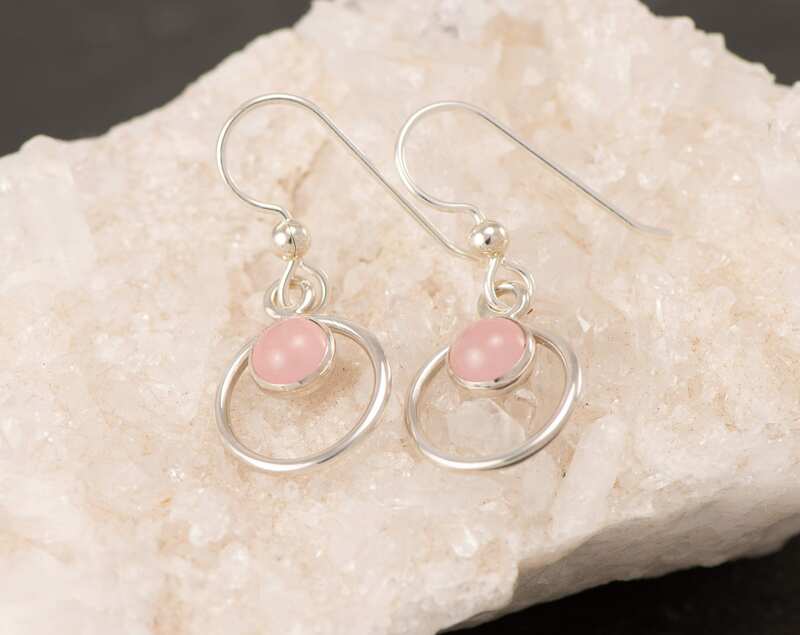 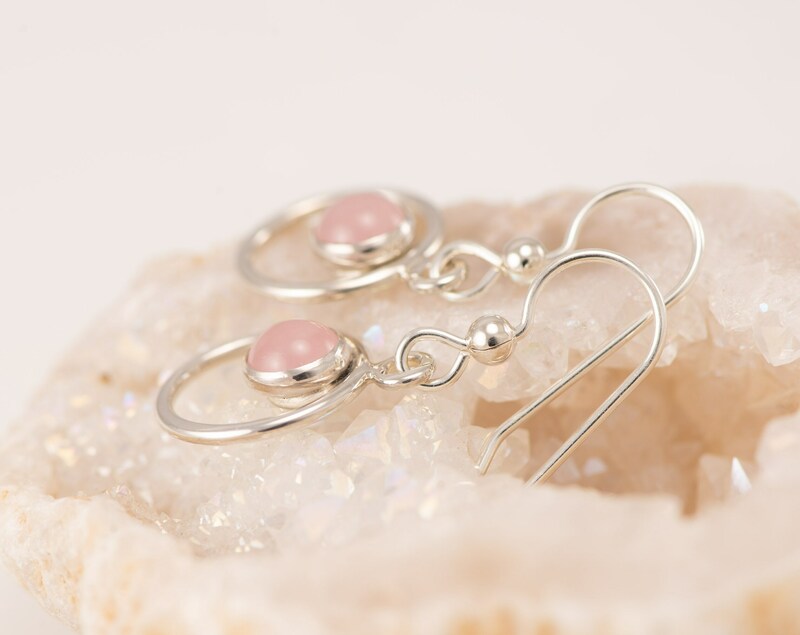 These small hoops are accentuated with 6mm rose quartz gemstones.These argentium sterling silver earrings are lightweight & perfect for everyday wear. 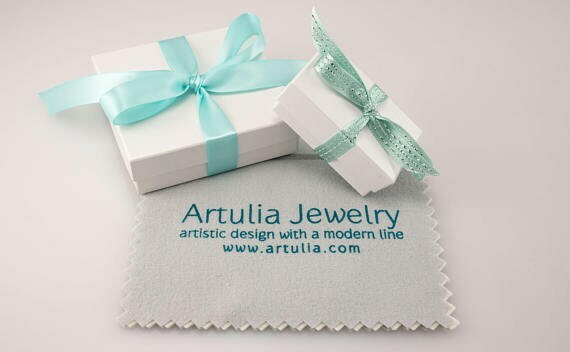 Please include your gemstone choice in the "message to seller" when checking out.